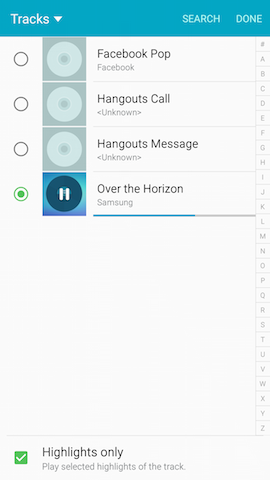 Your device can turn songs or music files you have downloaded, such as MP3s, into custom ringtones. 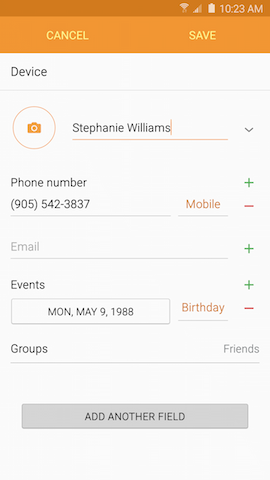 You can assign personalized MP3 ringtones to your contacts. Music is under copyright protection and this applies to ringtones as well. You can only use a music song as a ringtone (i) if you can listen to the song directly from your smartphone and (ii) if the music file is stored on your device or a file hosting service linked to your smartphone (which proves you have the legal right to use it). 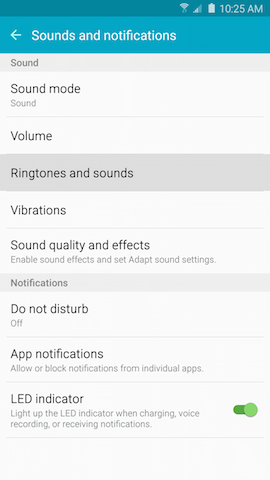 It is not possible to use a music as a ringtone if you are listening to it from the Internet (from YouTube, for example) or a music streaming service (like Pandora or Deezer, for example). 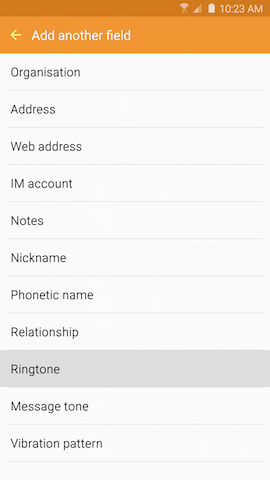 You can assign custom ringtones to your contacts. 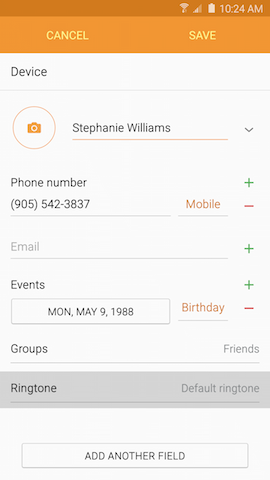 This makes it easier to identify a caller without needing to look at your device's screen. 3 Touch the desired contact, and then touch EDIT to edit the contact's information. 4 Touch ADD ANOTHER FIELD. 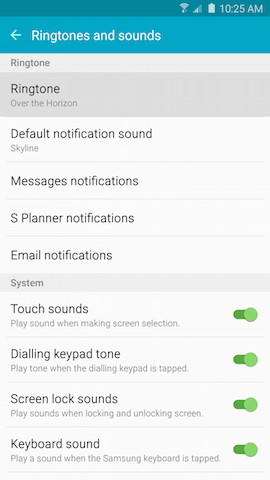 7 Scroll to and touch Add ringtone to create a custom ringtone from the sounds stored on your device. 8 If necessary, quickly double-touch Sound picker. 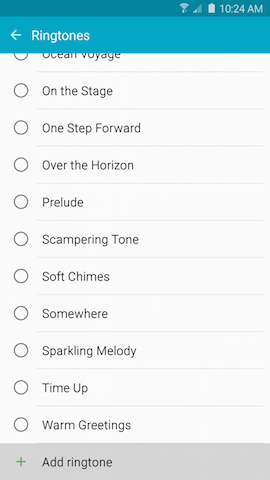 9 Select the music file you want to use. You can touch the filename to preview the music file, and touch it again to pause. 10 Mark the Highlights only checkbox to use highlights from the song for the ringtone, instead of playing the song from the beginning. 11 Touch DONE to set the ringtone. 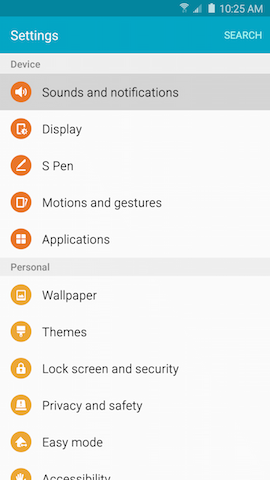 3 Scroll to and touch Sounds and notifications under the Device tab. 4 Touch Ringtones and sounds. 6 Scroll to and touch Add ringtone. 7 Quickly double-touch Sound picker, if necessary, and select the music file you want to use. 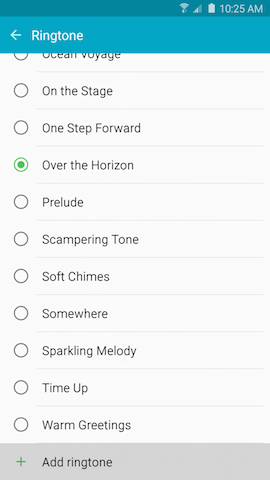 8 Mark the Highlights only checkbox to use highlights from the song for the ringtone, instead of playing the song from the beginning. 9 Touch DONE to set the ringtone.